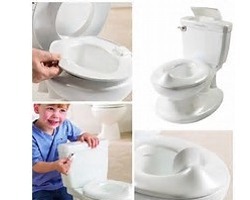 Kidsflush is simply a raised button that is placed over the top of the existing toilet flush. 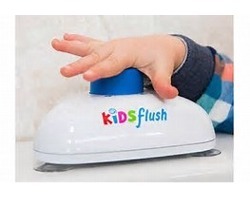 It makes the button much easier for children to press and makes flushing fun with a sound that plays when activated. Kidsflush encourages children to flush and is especially useful at toilet training stage when it is important to promote good bathroom habits for the future.